Apartment in Downtown, Buenos Aires - Arroyo ! 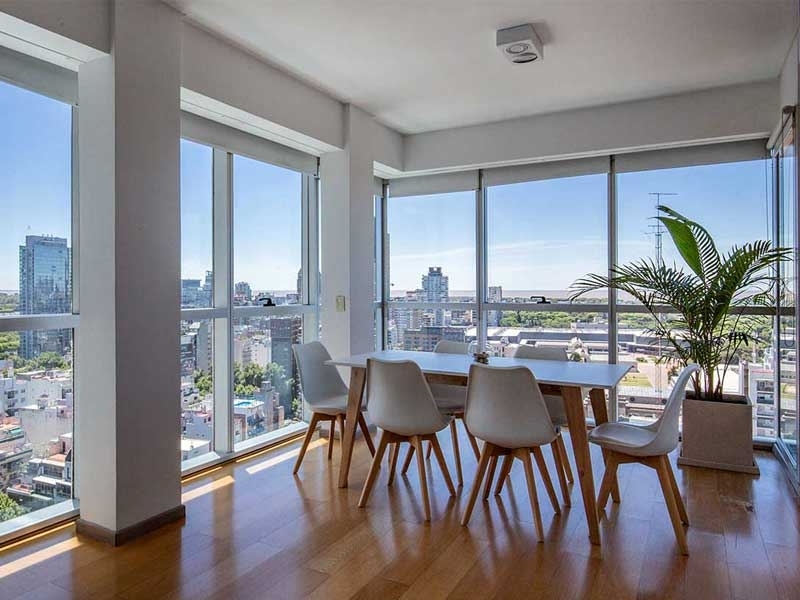 Recently renovated high end and high rise 860 square feet apartment with amazing views from 19th floor in great Recoleta location. This very well appointed one bedroom apartment for rent in Buenos Aires reaches new heights, literally. Being located on the 19th floor, it features impressive views of the city both day and night. It is located in what is arguably the best part of Recoleta, close to Four Seasons Hotel and it’s amazing Elena restaurant, as well as several bars and cafés. The living area has plenty of comfortable seating space and designer furniture, and provides access to the balcony with panoramic views. The large glazed windows make this a light filled room from dawn to dusk. The open plan kitchen, with its contemporary feel comes fully equipped with everything you might need, and a bit more, and comes with Carrara marble countertops and finishings. The bedroom, with a large double bed also benefits from amazing views and plenty of closet space. It also features a 40’’ screen TV with cable. 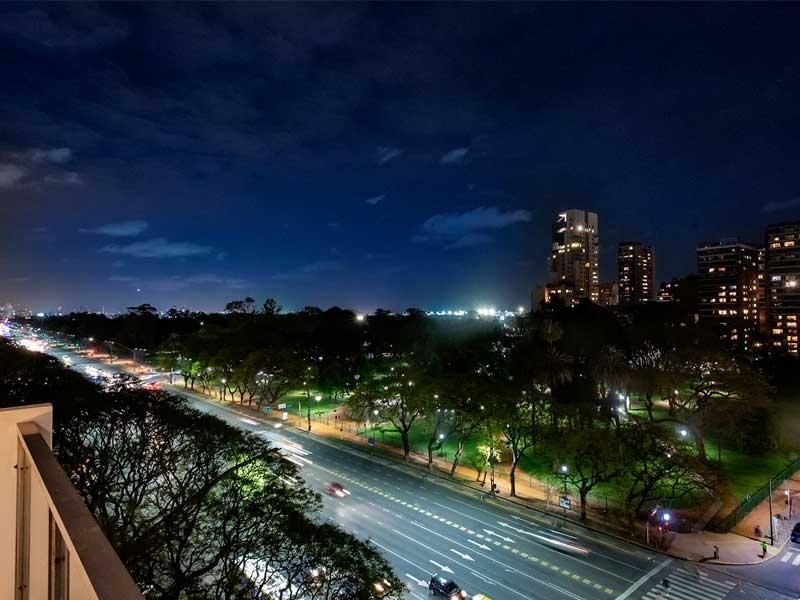 The building benefits from 24 hour security, and it is located in one of the best areas of Buenos Aires. Across the street from Farinelli, great for both breakfast and lunch, and in the same block as Floreria Atlantico, voted one of the World's 50 Best Bars in 2018. This great apartment represents fantastic value for money. Ideal for both couples and solo travelers, you will wonder why you ever used to stay in hotels.